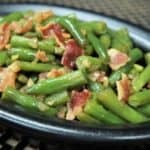 If you’re looking for a delicious and easy-to-make side dish, these green beans & bacon are just the thing. In this recipe, onions and garlic are gently sautéed in butter. 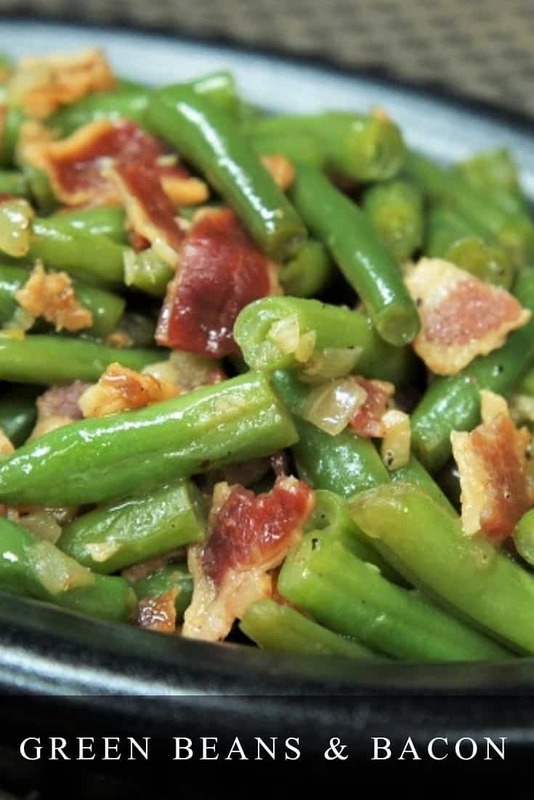 Then we add fresh green beans, crispy bacon, and gently cook them with a little bit of beef broth until they’re perfectly tender. This side dish is so good; it might eclipse the main dish. Enjoy! If you need more side dish inspiration, try these grilled potatoes, grilled corn, or these simple marinated tomatoes. These side dish recipes are easy and perfect for summer! Here we have instructions for preparing the bacon in the oven, or on the stovetop. I prefer the oven, there’s less mess and I can make a lot of bacon at the same time if I need it. Oven preparation: Preheat oven to 350°F. Line a large baking sheet with parchment paper. Arrange the bacon on the baking sheet, without overlapping. Cook the bacon for approximately 25-30 minutes, or until it’s cooked and crispy. Remove the bacon from the oven, transfer to a pan or plate lined with a paper towel. Stovetop preparation: Add the bacon to a large skillet, without overlapping. Cook the bacon over medium heat until it’s cooked and crispy, turning occasionally. Remove the bacon from the skillet and transfer to a pan or plate lined with a paper towel. When the bacon is cool enough to handle, crumble it into small pieces. Rinse the green beans well and drain. Trim the ends and cut them into three or four pieces (depending on the length). 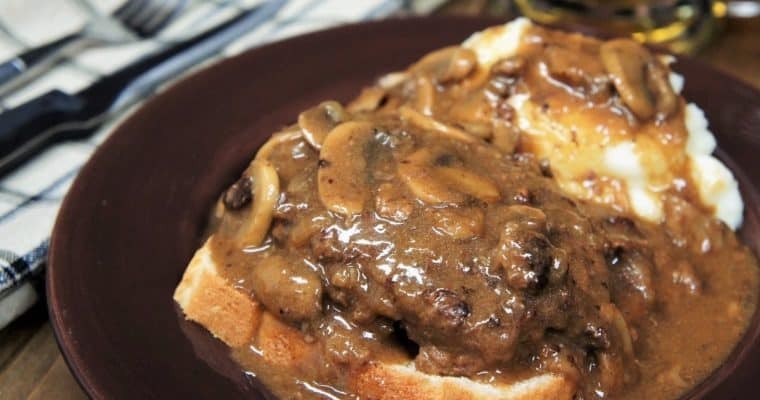 Melt the butter in a large, non-stick skillet over medium heat. When the butter is melted and foamy, add the onions. Gently cook the onions for 3 minutes, stirring frequently. Add the garlic, cook for 1 minute, stirring constantly. Add the green beans, beef broth, bacon, salt and pepper to the skillet and stir well. Raise the heat to high and bring the broth to a boil. Immediately lower the heat to medium-low and cover. Keep the beans at a gently simmer, raise or lower the heat as needed. Cook for 5-8 minutes until the green beans are tender. The cooking time will depend on how tender you like your green beans. Keep in mind that the residual heat in the pan will continue cooking the green beans even after you remove them from the heat. 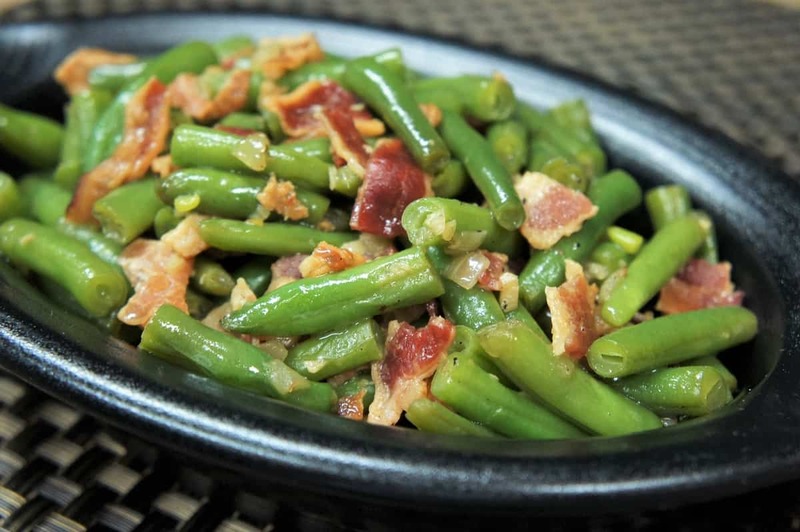 Taste the green beans & bacon and add salt, if needed. In this recipe, onions and garlic are gently sautéed in butter. Then we add fresh green beans, crispy bacon, and gently cook them with a little bit of beef broth until they’re perfectly tender. Add the garlic, cook for 1 minute, stirring constantly. Add the green beans, beef broth, bacon, salt and pepper to the skillet and stir well. Raise the heat to high and bring the broth to a boil. Immediately lower the heat to medium-low and cover. Keep the beans at a gently simmer, raise or lower the heat as needed. Cook for 5-8 minutes until the green beans are tender. 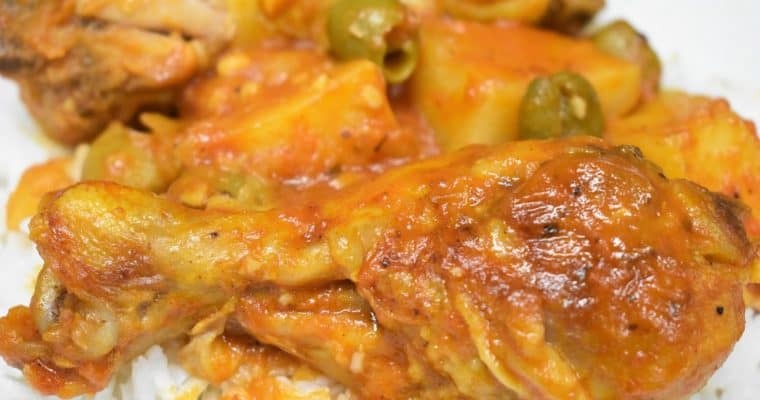 The cooking time will depend on how tender you like your green beans.